From Ibuku’s gorgeous bamboo structures to D-Associates’wood and brick DRA House, Bali’s contemporary architecture strikes a delicate balance between contemporary and vernacular design. 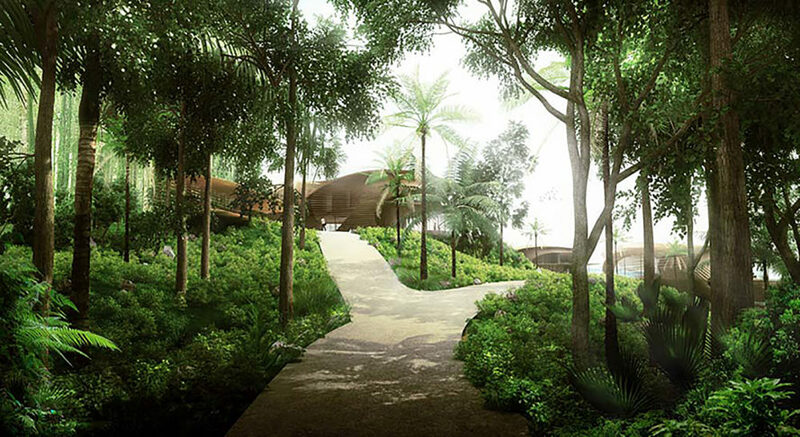 Among the most recent projects planned to be built on this Indonesian island is a cluster of six unique villas, a yoga pavilion and a greenhouse designed by Kengo Kuma. The 215,000-square-foot project named Tsubomi Villas, or “flower bud” in Japanese, will include six villas enveloped in overlapping layers of wood that form hyperbolic paraboloid roof canopies. The buildings, planned to be built on a sandstone cliff on the Bukit Peninsula, the southernmost point of Bali, look like they emerge from the ground like flowers. 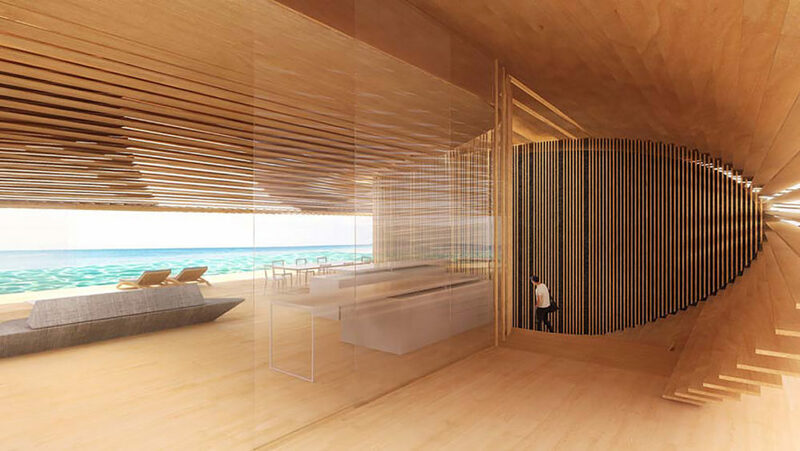 The Tsubomi Villas combine glass and timber to provide a feeling of openness and tranquility. 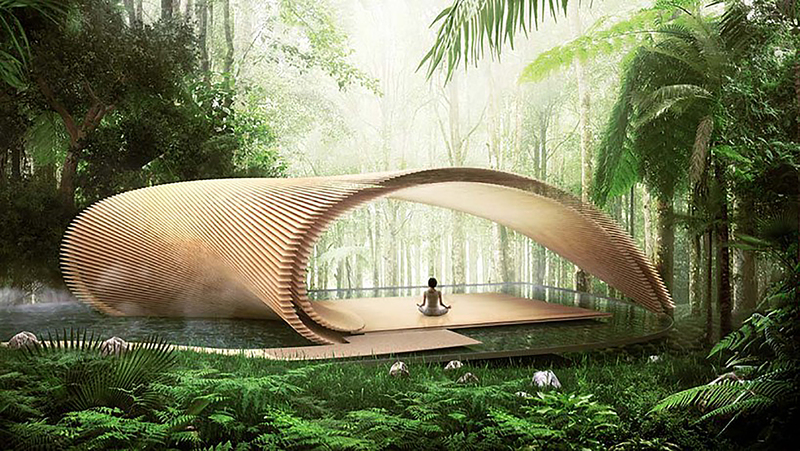 The design blurs the line between interior spaces and the surrounding landscape, inviting the lush forest inside. How many trees did they cut down to make that? Did they plant more trees than the tress used for the construction? And in a place like Bali where they get more than 6 months of rain, how is the interiors of the building protected? Those curves looks really good though. The 215,000-square-foot project, named Tsubomi Villas, or “flower bud” in Japanese, will include six villas enveloped in overlapping layers of wood that form hyperbolic paraboloid roof canopies. The buildings look like they emerge from the ground like flowers. The Tsubomi Villas combine glass and timber to provide a feeling of openness and tranquility. The design blurs the line between interior spaces and the surrounding landscape, inviting the lush forest inside.